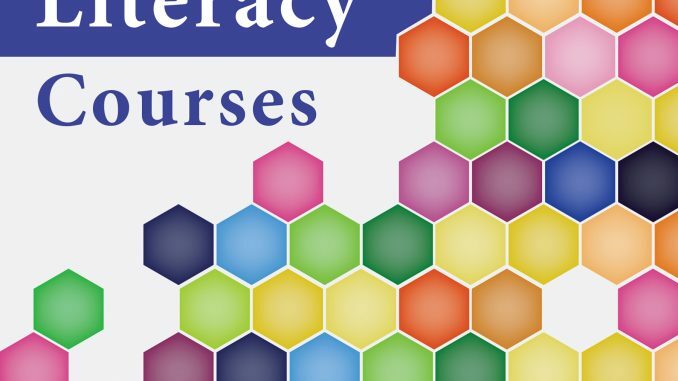 ACRL announces the publication of Critical Approaches to Credit-Bearing Information Literacy Courses, edited by Angela Pashia and Jessica Critten. The collection examines how critical pedagogy and critical information literacy can be applied in specific lesson plans and throughout a credit-bearing course. Critical librarianship understands the work of libraries and librarians to be fundamentally political and situated in systems of power and oppression. This approach requires that information literacy instruction expand its scope beyond straightforward demonstrations of tools and search mechanics and towards more in-depth conceptual work that asks questions about, among other things, the conditions of information production, presumptions of neutrality, and institutionalized oppression. It is vital that information literacy instruction examine the political, social, and cultural dimensions in which information is created and acknowledge that students bring a lifetime of rich experience into the classroom. This fundamentally critical work should manifest in library instruction in two ways: critical pedagogy, which examines how we teach, and critical information literacy, which generally examines what we teach. 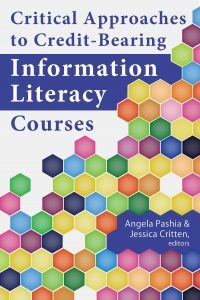 Critical Approaches to Credit-Bearing Information Literacy Courses includes chapters that examine how both critical pedagogy and critical information literacy are applied throughout a credit-bearing course as well as in specific lesson plans. The ideas explored in this book can be adapted for a variety of class and course lengths and for a range of students, from first-year undergraduates to doctoral students. Chapters include case studies of how information literacy courses can respond to preconceptions and unexamined ideologies students may bring to the course; explorations of marginalized knowledge and racial bias and justice; individual lessons or sets of lessons situated within the larger course context; and reflections on the process of developing a more critical approach. Critical Approaches to Credit-Bearing Information Literacy Courses can provide valuable strategies for those just starting to adopt a critical approach as well as new perspectives for those with more experience in this area. Critical Approaches to Credit-Bearing Information Literacy Courses is available for purchase in print and as an ebook through the ALA Online Store; in print through Amazon.com; and by telephone order at (866) 746-7252 in the U.S. or (770) 442-8633 for international customers. ACRL 2019 Advance Registration Deadline February 22!